The other day I read an entertaining article in the news concerning the new arrival of a Skype online translation software, currently only decoding language between Spanish and English. At first sight, stumbling upon the article was quite alarming; I started to worry, has the sci-fi dream finally arrived? Has technology finally superceded human expertise? Will the human translation industry soon cease to exist? However, I started to read a little further and my worries quickly subsided, as I adopted a lighter, humorous mood. The apparent real-time language translating tool, allowing two speakers of different mother tongues to verbally communicate across the internet, is full of loopholes. After 10 years of investment, put to the test, a simple “how are you?” was very badly interpreted as “you are what’s app, you?” and “what is your cat called?” became “what is your cat cold?” Speaking longer than one sentence was also suddenly met with an abrupt interruption for the software to translate; it seems it can’t cope with an overload of information – not quite the super brain of a simultaneous human interpreter! 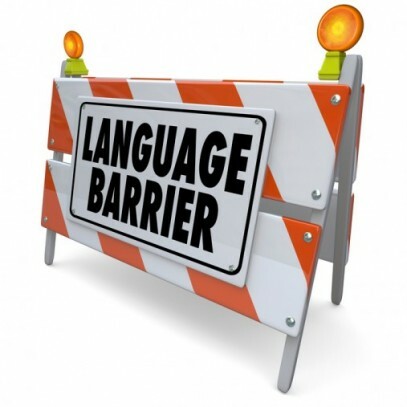 It seems to me that this type of instant online translation software still has a long way to go before it will be dealing reliably with technical vocabulary and in-depth discussions. If it misinterprets ‘called’ for ‘cold’ and ‘are you’ for ‘what’s app’ then, in the meantime, I recommend that lawyers, doctors and architects resist using it unless we want to accidentally dissolve our companies, go in for the wrong operation or destroy the design of our dream house. Yes, this may sound a little extreme but I am still confident that technology will never confidently substitute the brilliant knowledge of experienced and skilled translators and interpreters. Let’s leave instant online translation software to having a simple chat between friends, where we can also have a little laugh about the comic value its translation adds to our conversations. The conclusion: the future of accurate translation is still in safe human hands. By studying this article i examine that the accurate translation can only be performed by human translator. The online translators and apllications that come are also developed by human. It’s not always quite sure that the translation softwares will always provide accuracy.